To keep your data private within the app, you can enable a password. 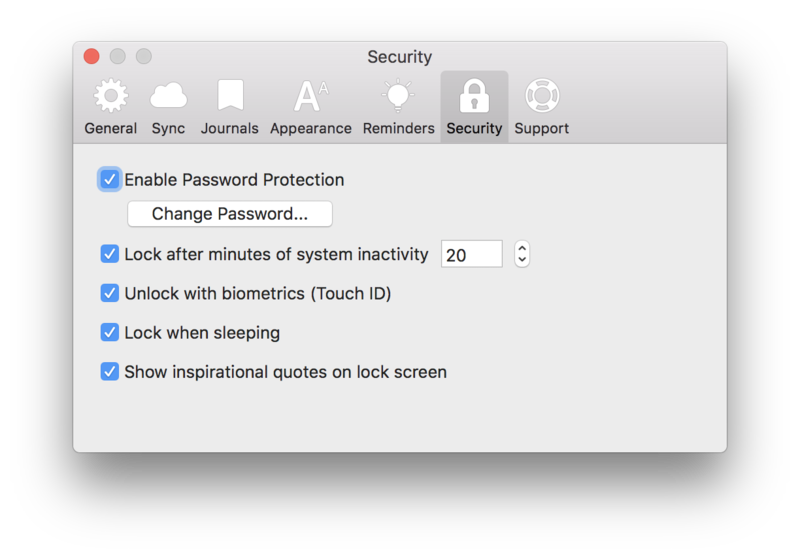 Touch ID for MacBook Pro (2016 and later) is now available in version 2.6. This does not encrypt your data on the hard drive. If you are using a shared computer, we recommend using separate user profiles for the computer and enabling FileVault to encrypt the hard drive data. Click Day One > Preferences (in the file menu) > Security. 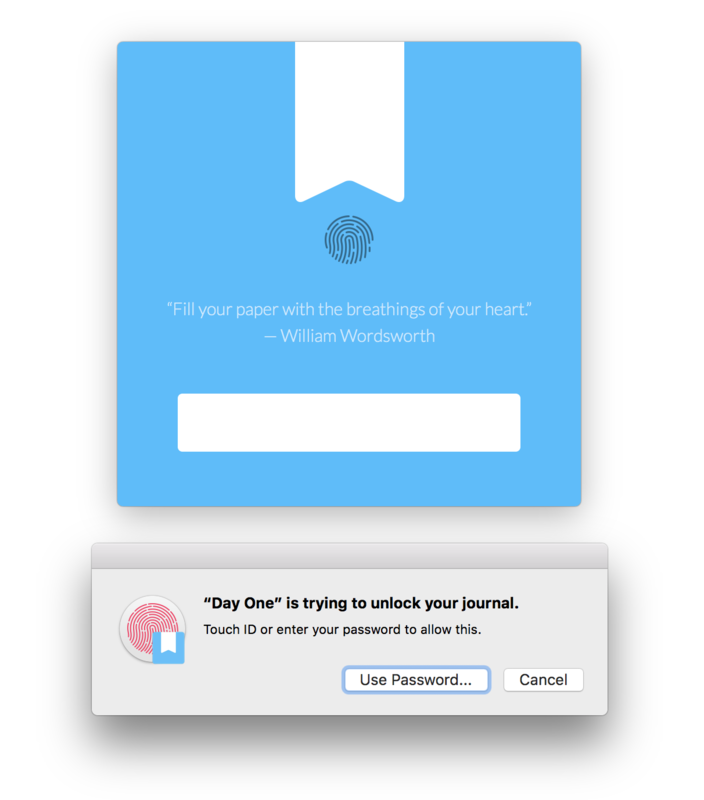 The next time you open Day One, or after the indicated minutes of inactivity, the password prompt will appear.